As an alternate to Cornwall, there is the option of the long overdue return to Font and finest bouldering in Europe. What: The best bouldering in Europe it’s as simple as that. And the croissants, they’re good too. There are plenty of circuits (which are great fun) at a number of grades whether you are after oranges or want to do red lines or off circuit problems. When: Departing Thursday evening 18th – 22nd April. Travel: We will be travelling by Eurotunnel or ferry so please try and get in touch early as this will make organising travel a lot easier. Where: La Musardiere campsite just outside Milly-la-Foret on the edge of the Trois Pignons Forest. Camping here is approximately 10 Euros per night. Kit: Camping gear, including a stove. 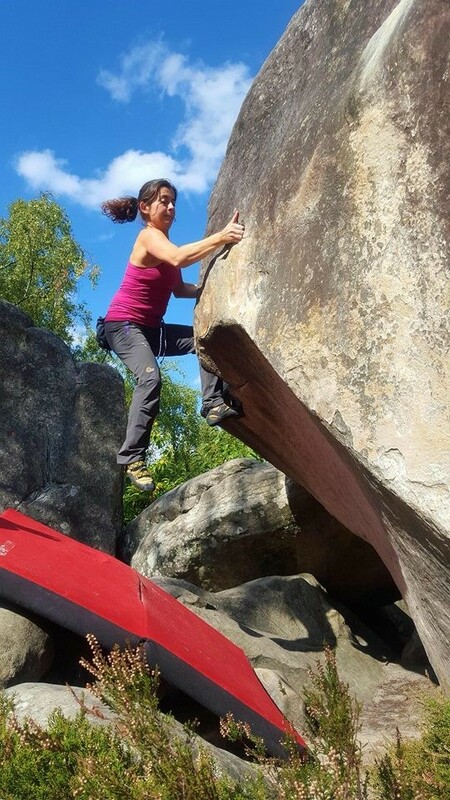 Bouldering gear – if you don’t have a mat, there are usually enough.